I hope that your 2015 is off to a great start! 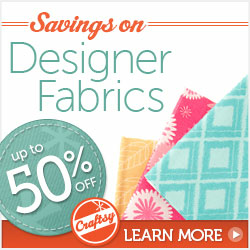 I have a few quilty goals in mind for this year so I hope to add those to a blog post soon. One goal is to participate in some mini quilt swaps on Instagram. I’m now signed up for 4 this year, and I’ll send the first one out later this week. 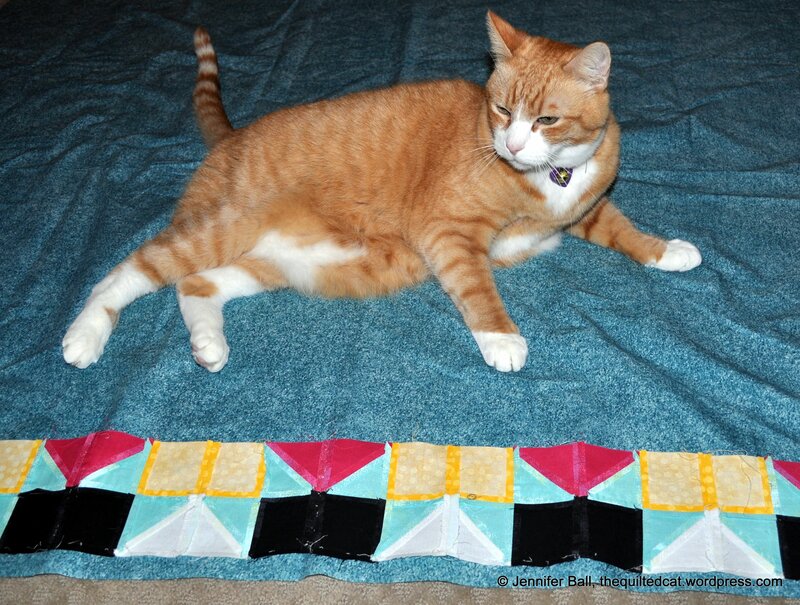 There is a vibrant quilt community on Instagram, and you can find me there as nwquiltedcat. The other day as I was driving home from work, some late afternoon sun beams hit Mt. Hood with a striking intensity. The volcano seemed to glow, and I pulled over to take a picture (along with several other people!). Unfortunately, I just had a little point-and-shoot, and the pictures don’t do the scene justice. I’ve been participating in Bonnie Hunter’s latest mystery called Grand Illusion. She released the final clue last week so I have been working on putting my top together. 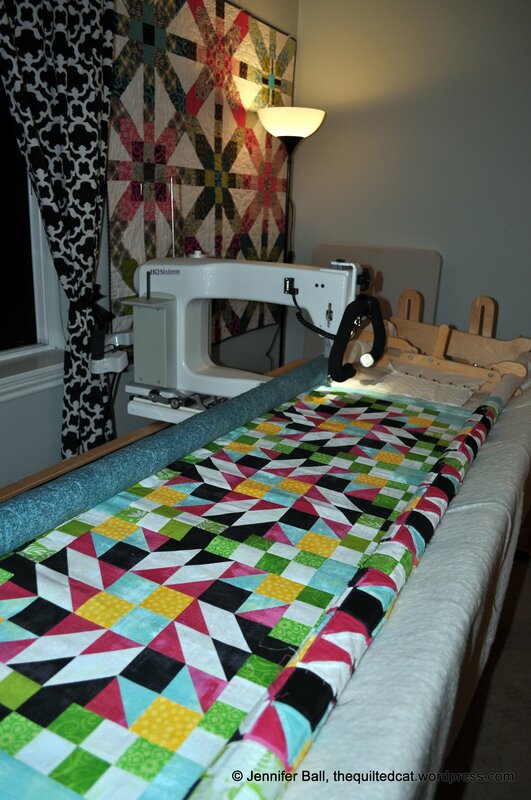 I went with a smaller quilt center and just a solid aqua border rather than a thin inner yellow border and pieced outer border. I used some of my leftover pieces on the back. For the backing, I used units that would have gone into the pieced border along with some darker turquoise fabric that I had on hand. While trying to lay it out on the floor, someone jumped on the fabric! 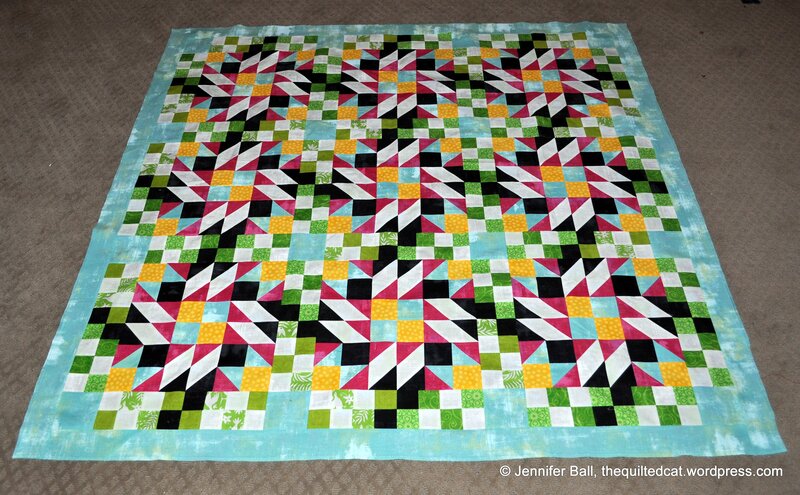 My Grand Illusion quilt (small version) is now quilted. I need to square it up and bind it. What do you think for binding – aqua or black or something else? 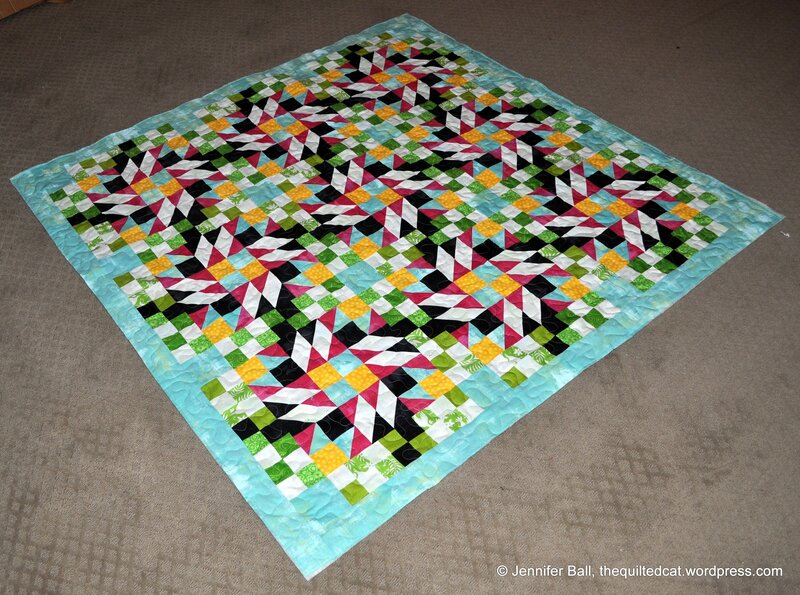 You can view other finished Grand Illusion quilts at Bonnie’s link up party here. 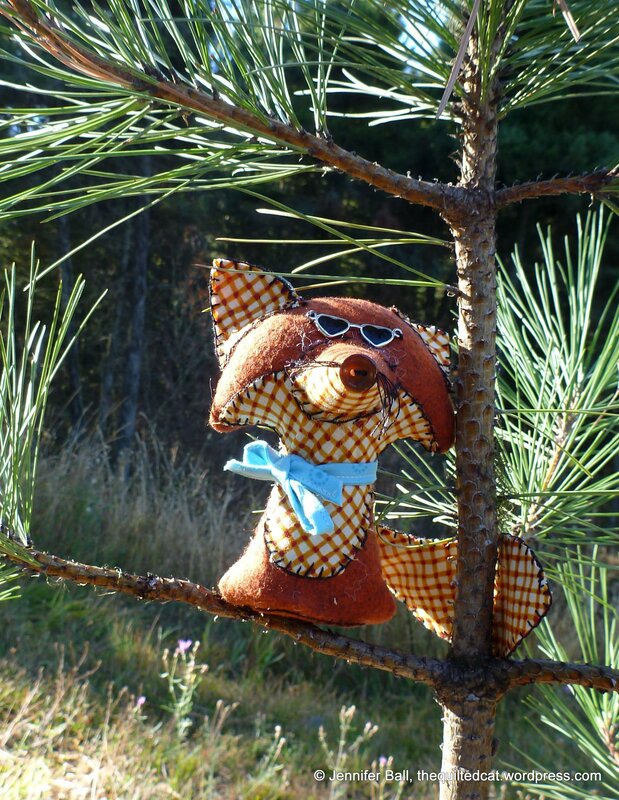 Summer is quickly ending so I hope to have more time this fall and winter to catch up on my many projects in progress. 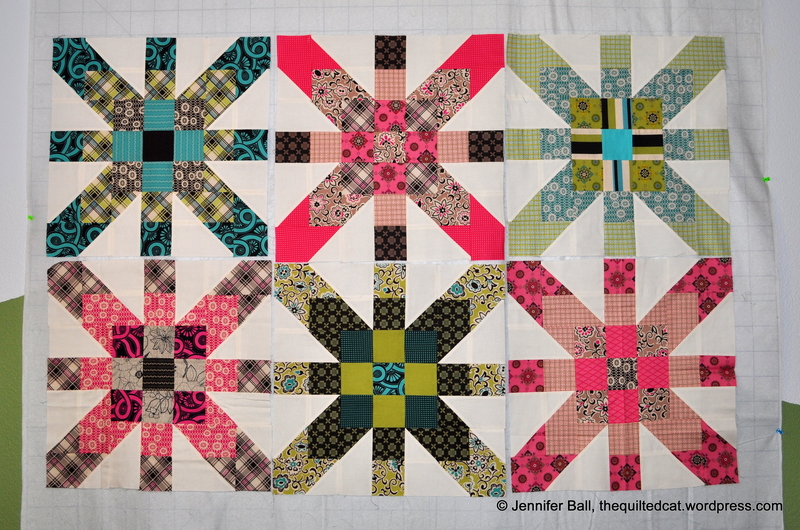 One project that I’m working on this year with a partner, Cindy, from What’s One More Project is the Friendship Supernova Block Exchange. You can read more about this unique swap in my first post here. In my first post, I have pictures of our month 1 blocks. In this post, I’m happy to say that we have now swapped 2 more blocks (July and August) for a total of 6 blocks all together. We have 2 more months (September and October) for the blocks before we finish sewing our quilt tops together. Isn’t it looking fabulous??!! I just love how this quilt is coming together so far. 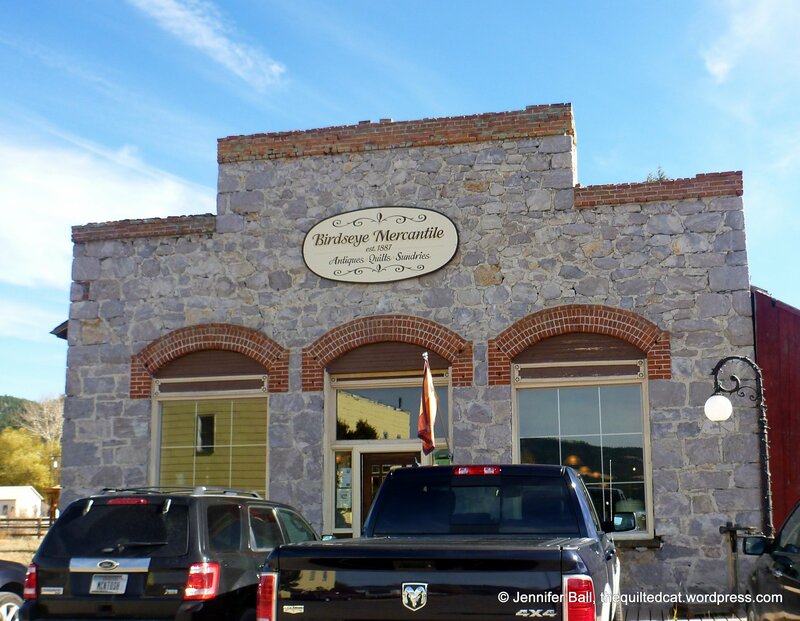 For those of you who have visited or are familiar with the Sisters, Oregon area (home of the fabulous Sisters Outdoor Quilt Show), you might be familiar with one of the mountains called Broken Top. This mountain is next to the Three Sisters and is featured in many patterns, including the row-by-row pattern by the Stitchin’ Post this year. I used this row as the top row in my quilt here. My family decided to squeeze in one last camping/hiking trip before school starts here next week. 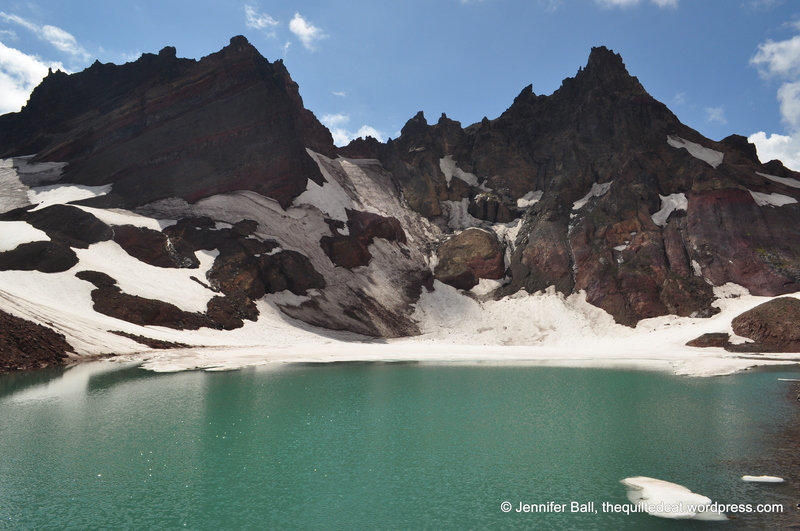 We camped near Broken Top and took a moderate to aggressive, 4-mile roundtrip hike to a beautiful glacier lake near the top of the mountain. 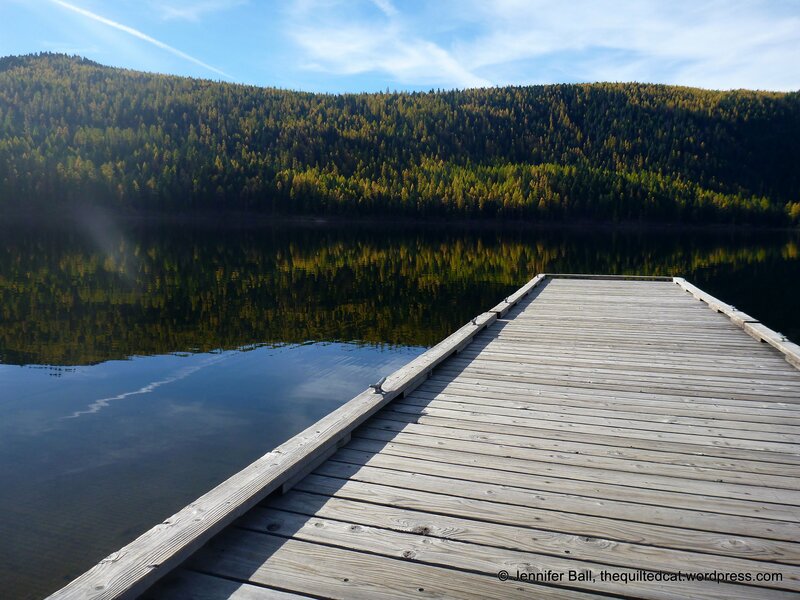 The color of the lake water is amazing – a sort of blue/green/turquoise color and absolutely gorgeous! The road to the trail head is very rough and not really suitable for passenger cars. You need a vehicle with higher clearance to navigate some sections. 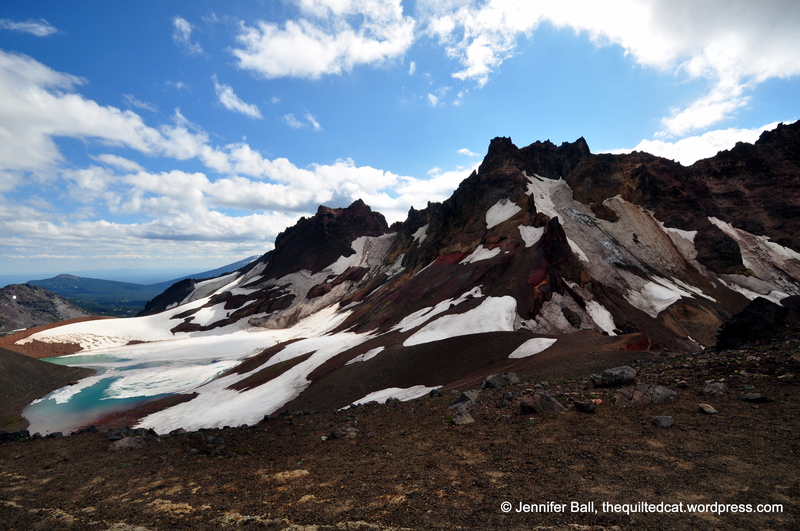 Broken Top itself is 9,177 feet. I’m not sure what the elevation is here at the lake, but I’d guess around 7,500 feet or so. My 9-year-old did great on this hike and had a great time. 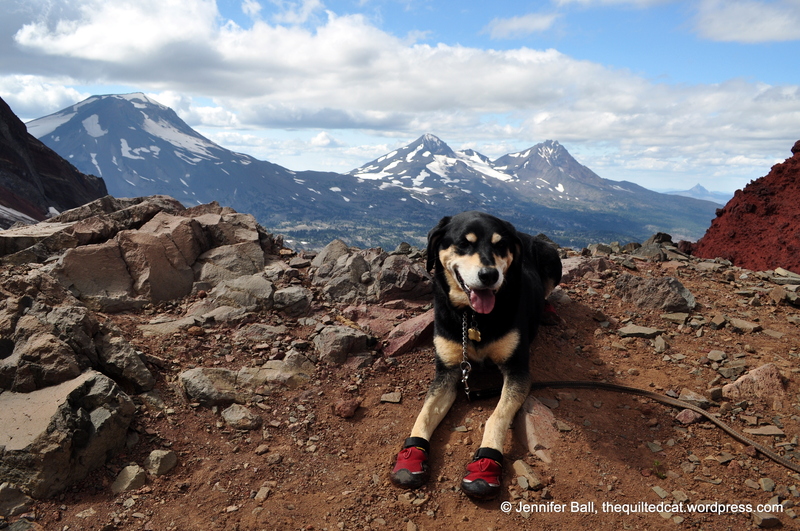 I think we wore out the dog because he slept for about 2 days straight after the hike! If you are ever in the central Oregon area, I’d highly recommend this hike for the impressive views.